Home Christmas A Little Help For My Secret Santa!! I received an email on Sunday evening… whilst I was right in the middle of a very rare night out (by that I mean I was actually out, with someone who wasn’t part of the usual crew!). It was an email that literally made me start to sweat with fear… it confirmed who I had received in the Secret Santa draw. You may have already gathered that I am part of a local group of bloggers that likes to get together and gossip, alongside drinking. 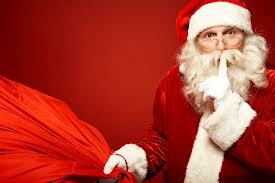 We have decided to put together a Secret Santa for Christmas with a budget in place. I have already purchased goodies for the person who I was kindly given today, I am hoping that she will like them – they are awesome and in fact I would love to keep them for myself. Ok, so money is clearly no object with this, but how gorgeous are these Reindeer Sherpa Lined Sock from Figleaves? I am a huge fan of wearing socks around the house and these are very in keeping with the time of year… very festive indeed! It is widely known in our circle that I am a huge nail varnish addict, to the point I have dedicated space in my fridge for all my colours! I will have to make more space for the 24 bottles which will appear from my Ciate Mini Mani Advent Calendar – roll on December 1st! It is fair to say I am ridiculously excited about opening my advent calendar! Stationery, I absolutely love it. Weirdly I buy beautiful notebooks and never use them as I would hate to ruin them. Randomly I did find a notebook with my name on in Paperchase a couple of years ago. I did not use it at all and kept it pristine… fast forward to the present day and I cannot find it, typical! If all else fails then a case of Desperados or Estrella will always be a great surprise and much appreciated. I am so rubbish at choosing Secret Santa gifts. I don’t know why I agreed! I love giving but when it’s someone I don’t know that well (as Secret Santa so often is) I get really panicky. I think we all should do a post on what we like so everyone receives a gift they’ll like! 😀 Secret Santa seemed such an easy thing to do and then the nearer it gets, the scarier it gets!